DR Congo and Queen Park Rangers defender, Christopher Samba is expected to make a swift return to Russian club Anzhi Makhachkala. Mega-rich Anzhi , who sold the former Blackburn defender to the London club last January for a reported £12.5million, are keen re-sign the giant centre back and QPR look set to recoup most of the money they paid for the 29-year-old. 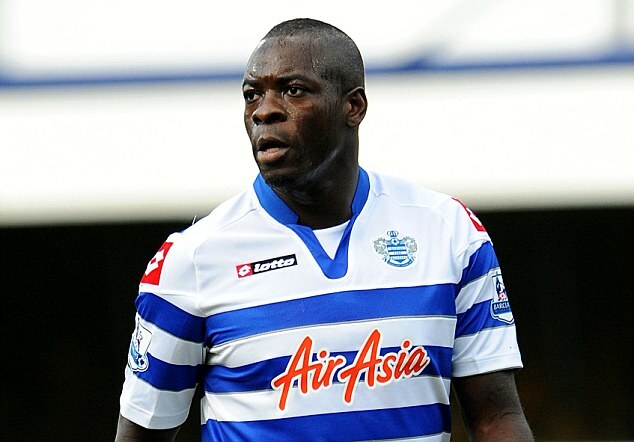 Samba was reportedly paid wages of £100,000 a week by QPR as the club attempted to stave off relegation. However the club lost their Premier League status and manager Harry Redknapp now has the task of reducing the large wage bill. Big earners like Brazilian goalkeeper Julio Cesar, linked with a move to Arsenal, French striker Loic Remy and former captain Joey Barton, who spent last season on loan at Marseille, are all expected to depart Loftus Road this summer.